JNU 2019 Application Form has been released from 15th March 2019. 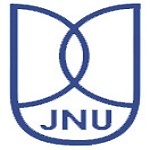 JNUEE (Jawaharlal Nehru University Entrance Exam) is a university level exam conducted by NTA (National Testing Agency). JNU exam is a gateway for admissions in various courses in the field of engineering, computer applications, management, law humanities. Here we have mentioned the step by step process of How to Fill JNU Application Form 2019. JNU 2019 Application form has been started from 15th March 2019. Check here for application details. Students can get the JNU Application Form 2019 from 15th March 2019. The university has released the application form through online mode. The last date to submit the completed application form will be 15th April 2019. There is no other mode to fill the application form. Candidates should take a print copy of the filled application form for future use. Visit the official website of JNU (link is provided above). 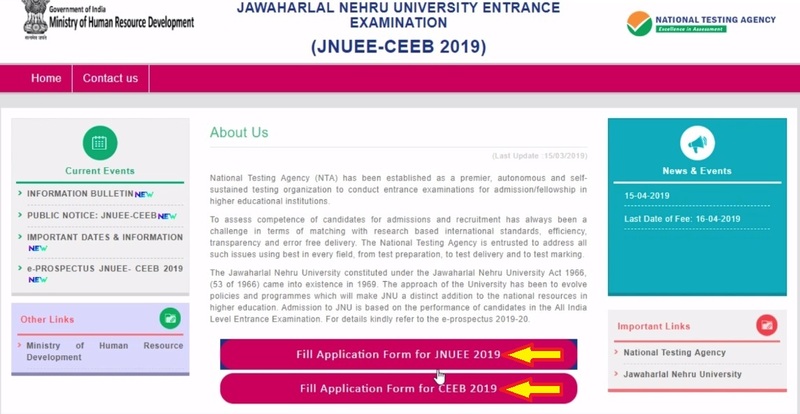 Click on the link “Fill Application Form for JNUEE” or “Fill Application Form for CEEB”. Click on the link of examination you are applying for. Click on the link related to “Apply”. After that read the information given on the page and proceed for application form. Tick on ‘box’ and then click on “Click here to Proceed” button. Now, fill the registration details like Name, Parents name, DOB, Email ID, Contact Number, address, etc. If want to change the any details, then click on “Edit Registration Form”. 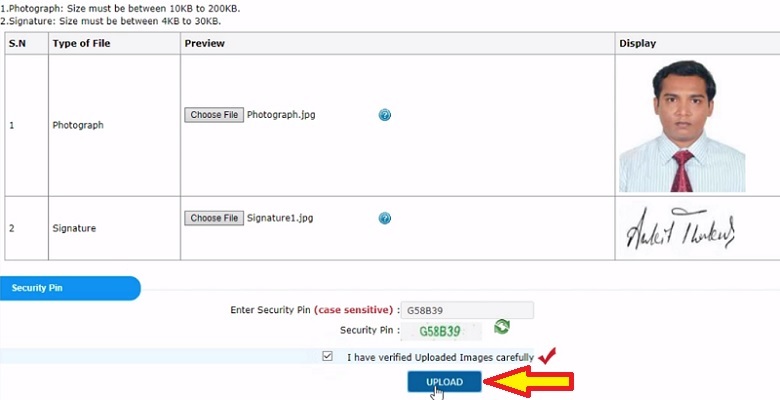 If all details are correct then tick on declaration and click on “Final Submit” button. After registration process is over, proceed for completing application form. Click on “Complete Application Form” link. Fill the details like guardian name, category, state of domicile, nationality, details of academic qualification, etc. Also Fill other details like country, category, income group, schooling details, programmes of study, 10th/12th qualification and others. Now, click on “Reset” or “Submit” button. Preview the details entered and click on “Final Submit” button. Now, proceed for uploading of images. The photograph dimensions should be 10kb to 200kb signature size should be 4kb to 30kb. Click on “Pay Examination Fee ” button. Go through the fee payment option. Select Debit card or Credit card and click on “Pay Now”. Click on “Proceed for Payment”. After the fee payment confirmation, candidates can take the printout of the confirmation page. For any other queries regarding How to Fill JNU Application Form 2019, you may leave your queries below. New registration option is not available in official website of jnu.what can I do next? I want to apply in JNU for M.A international relations…please anyone …please help me find out the registration link for admission!! I want to sit for the entrance. .it’s already March17 2017 …please please?? I still can find the link of new registration at jnu official website. Please help me. when will this application form link will be releases? Application form has not been released. Kindly let me know when the registration for jnu admissions 2017 will start. I am not able to get “new registration” link on jnu site. Has the registration for MA(Political Science & International Studies) started yet? Application has not been started yet. sir,not able to find the registratiion link for mtech entrance comp sc ,plz provide!! I have tried my best but I could not find application form for enterance examination for physics hons..
New registration link is still not there. why?? Please help. I can’t find the new registration link of JNU. I couldn’t able to get the link for new registration. How to apply for MCA 2017? i cannot find any registration link to apply..guide me please. How can I get ..?? Link is not released yet. I cannot find new registration link on jnu official website. Please help me find it? I have completed my Master degree in Computer Science. I want to take addmission in Ph.D.I just want to know the process of offline application form submission for entrance test. Sir when will come admission forms of jnu. I want to apply online but could’nt find registration link,how can i get it, please help..
Has JNU called applications for 2017 PG admissions? There is no link, is it because of the recent controversy about number of seats? Do you think the exam dates will be postponed too? sir i want to pursue ma in international relation but there is no link provided buy the jnu offical site . sir please let me know the other way to fill the entrence exam application form. I have tried my best but I could not find application form for enterance examination for language course. Pls suggest me a book of ph.d history entrance exam and send me last year solved paper. Sir/mam I would like to ask whether JNU offer NCC and B.A ( history) courses for UG ? ?I am unable to find JNU registration link,it’s not available on the website of JNU. Sir/mam I would like to ask whether JNU offer NCC and B.A ( history) courses for UG ?? WHOSE DATE START TO GEOGRAPHY MSC 2017 APPLICATION FORM AVILIABLE. Sir, some students of jnu told me their are such seats give priorities those students who was not being to delhi..
How can I take admission to peruse b.sc in any or is there any entrance exam? sir i am greduate with b.com what i am eligible to apply m.a with political scince? when will the registration for JNU start? can u please send me the registration link when the registration starts? thank you. We will notified through this article. Application link is not live yet. I’m not able to find the “new registration” on JNU’s site. JNU 2017 registration has not started yet. By when the same is supposed to be started sir? sir. Please send me the link of JNU registration form. So that i can register there. I tried but, can’t find it. Please help me out. Sir how can I admit in your University in MA in Geography.please suggest me. BA (honors) Arabic me form fill karna he..
Kya Darul Uloom waqf deoband ki eligibility he.. I have completed BA Political Science from Annamalai University. And attended the supplimentary exams for arrear papers and now waiting for the result which expected to publish on march 2017. Can i appear for the JNU entrance exam 2017 for MA? SIR I AM STUDYING IN INTERMEDIATE SECOND YEAR AND I AM GOING TO COMPLETE MY SECOND YEAR BY MARCH 2017 AND I WANT TO JOIN FOR JNU,SIR CAN ANYONE TELL ME THE PORTION FOR ENTRANCE TEST OF JNU,PLEASE…………. Sir i am appearing last year exam and i want to admission in M.sc .